Metro Chicago is a bustling business hub, with around four million employees spread out over more than 265,000 small, medium, and large businesses spread across the metropolitan area. With an estimated $500 billion dollars in the gross regional product (GRP), Chicagoland businesses operate at a massive scale. In such a bustling metropolis, the Chicago suburbs are, in their own right, major business areas that give rise to the substantial growth that the suburban communities have seen for generations. We all know that the right office and working environment can give businesses an edge, especially in such a competitive area as suburban Chicago. But as most professional suburban Chicago commercial movers will tell you, when it comes to moving from one space to the next during a commercial move, things can be more complicated than they seem. A badly planned commercial move, whether on a large or small scale, can prove devastating for any business, so it’s important to make sure you’ve properly planned your relocation for the best possible outcome. As one of the leading suburban Chicago commercial moving companies for over 30 years, Blackhawk Moving and Storage knows what it takes to make any kind of commercial move a success—whether you’re running a large, international corporation or a small office downtown. If you’re planning on moving your business, take a look at our top tips for business relocation in Chicago, brought to you by our moving experts at Blackhawk Moving and Storage. · Keep Your Employees Informed and Involved: The cooperation and support of staff can encourage a smoother, better-organized moving experience for everyone involved. This means keeping your employees in the loop as your moving strategy develops and delegating tasks to handle these strategies as they roll out. 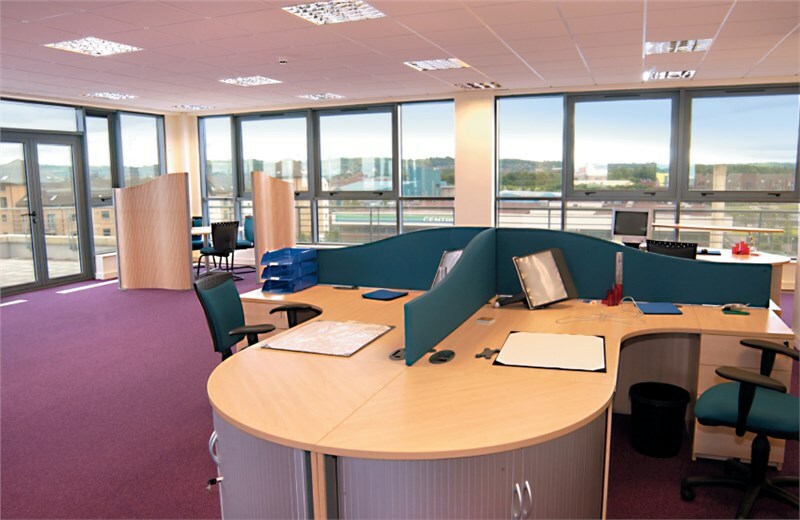 This includes sharing details on how they can prepare or maintain their desks and other office areas in the instance of a corporate relocation, and any policies or guidance they should follow. · Work with a Commercial Moving Company You Can Trust: The right metro Chicago commercial movers can use their experience to help you handle the logistics of your move to keep everything flowing seamlessly. Whether you are moving within Chicago or outside of the city, professional movers will offer high-quality tools and planning services to help you prepare and execute your move, and free, personalized consultations and pricing estimates. Office Moving: This type of move covers moving to a larger or smaller office, retail space, or another smaller scale, commercial establishment within Chicago, elsewhere in the state, or even internationally. Your key challenges with this type of move are going to be to the logistics around the packing and safe transportation of your office materials. Corporate Relocation: This move involves transporting your actual staff to the city where your new offices are going to be located. With this type of move, you will have the additional challenges of perhaps helping your staff to sell their existing homes, finding them new ones, and all of the assistance around those two processes such as the transport of belongings and equipment. Commercial moving costs money, whether you hire professionals to take care of things for you or decide to do it alone. For those that decide to handle it themselves, you’ll need to plan a detailed strategy that involves the specific costs of packing materials, moving trucks, boxes, as well as any downtime your office will experience as you and your staff members execute the move yourself. If you do decide to hire professional movers to handle your move, it’s important to remember that customized pricing estimates are always superior to package offers. Consider hiring metro Chicago commercial movers that can offer you a free, no-obligation, personalized pricing estimate that perfectly matches your requirements, because you shouldn’t have to pay for services that you aren’t going to use. Blackhawk Moving and Storage, for example, offers specialty packing services like custom crating, disassembly, installation and set-up of office equipment, computers and electronics, specialized shipping and storage solutions, and other options that can be added onto your commercial moving package on an as needed basis. Along the same lines, you won’t have to pay for services you don’t need, which will save you money on your total moving costs. Professional movers are always the recommended choice for handling commercial relocation projects, especially because movers can help you keep your business running—which can often offset the cost. If you do decide to hire professional movers to help with your commercial relocation, make sure to do your research and hire the most reliable and highly rated moving team you can find, and ask them a lot of questions about their services before choosing one. As mentioned in the section above, your commercial move should be a collaborative effort, and your moving company should share that idea. You should feel comfortable asking for details about the process, and how it can be adjusted to suit your needs. It is also important to check reviews and make sure that the moving company has experience conducting the type of move you’re planning to make. If you are going to trust a company to move your office materials across international borders, for example, you will want to make sure that they count with the necessary resources to make it happen. Black Hawk Moving and Storage is one of the leading suburban Chicago commercial moving companies in the area, with over thirty years of professional commercial moving experience. As an agent of United Van Lines, we have access to the most state-of-the-art resources and innovative moving equipment necessary to plan the perfect commercial move of any size or scope. For more information about our metro Chicago commercial moving company, give us a call to speak to a representative or fill out our online form for a free, no-obligation quote.